Christmas is a hectic time of year. So to help us focus on what’s important during this season, we developed the Christmas At Mosaic 2018 Advent Calendar. Using the calendar below, we’ll provide one “challenge” to help make this Christmas memorable, along with a Bible reading for each day of the Advent season. Challenge: Set a goal of how many people you will invite to Christmas at Mosaic. When you have your goal, text it to someone you trust so they can hold you accountable. Next go out and reach 1/3 of your goal this week. SUNDAY DECEMBER 2: God created a good, orderly world, reigning in the chaos to forge a flawless environment in which humans could flourish and rule. In this world, there was no evil, no wrong thing. It was called "good" over and over again. Does this sound like our world today? Why do you think has happened? Make no mistake: this is the world Jesus seeks to bring about, one where everything relies on God's own goodness. As we enter the Christmas season this year, think about this ideal: God's desire to restore his world to perfection. MONDAY DECEMBER 3: God didn't just create a perfect world; he created a perfect relationship. Notice that the two humans are designed to be helpers to one another and that they are both naked without shame. What's different about our relationships today? Are they better or worse than what Adam and Eve had? Christmas is all about our need for Jesus, and it's relationships that Jesus wants to restore, not only our relationships with God but also with each other. TUESDAY DECEMBER 4: Here we have the key temptation, not only of Adam and Eve, but of all of us: Will we let God define good and evil in His perfect world? Or will we try to define it for ourselves? Notice what happens the moment the humans decide to define it for themselves. They're immediately ashamed and can't trust each other with their naked bodies, so they cover themselves up and hide. Sound familiar? But notice what God does: he doesn't smite them down instantly, but rather provides for them. The relationship is broken, but there's still hope for humans. WEDNESDAY DECEMBER 5: In Chapter 3, we had a serpent playing a role in temptation, but notice that in Cain's story, we have the more abstract idea of sin being introduced. And it's not just some passive idea that Cain has done something wrong. It's an evil force that is "crouching at the door" to conquer Cain. And so Cain, like us, is given a choice: will he trust in the Lord's definitions of good and evil? Or will he choose to take matters into his own hands? This is the essence of sin. In what areas of your life have you been trying to define good and evil for yourself, just like Cain? THURSDAY DECEMBER 6: Just a few generations after Cain, we have Lamech, who has clearly chosen to define evil as good. He has taken God's grace upon Cain and has warped it into a self-justification for murder and all kinds of sins. This is the natural result of the sin in our lives. It isn't abstract; it has real consequences. And it's not just truly evil people like Lamech; it's all of us. With each selfish choice, with each iteration of choosing to define good and evil for ourselves instead of trusting God, we contribute to the world's huge sin problem, creating injustice everywhere. What needs to change in your life for that to stop? 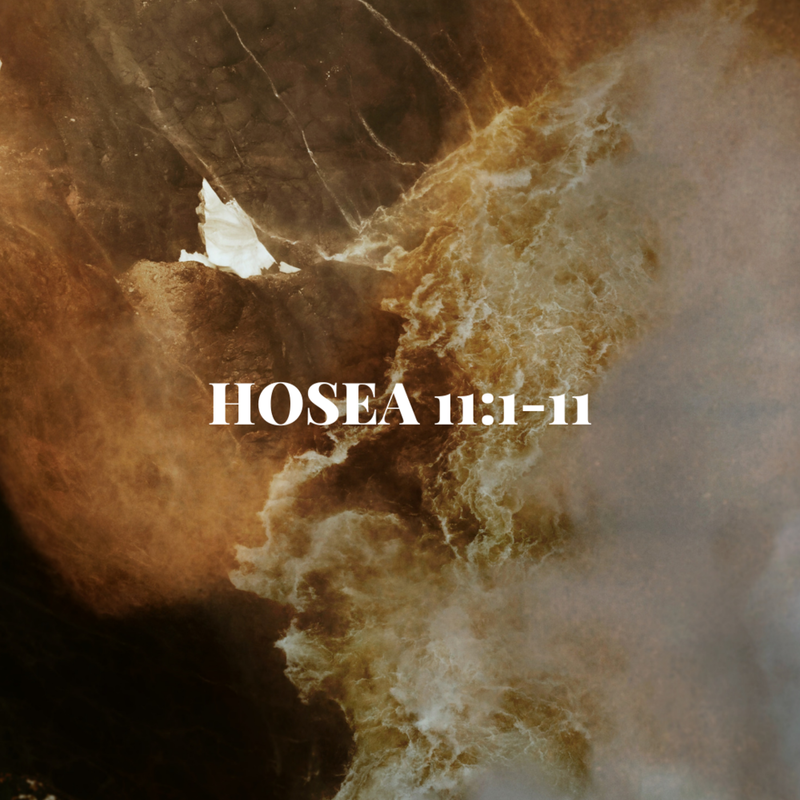 FRIDAY DECEMBER 7: Nearly all of us are familiar with the Great Flood story, but pay close attention to the beginning of this chapter, starting in verse 5. Notice that this is the reason for the Flood, not just an outpouring of God's wrath upon sin, but also God relenting from holding back the chaos He had reformed into order in Chapter 1. Remember how God separated the waters from the land? Well, now, because of the evil of humans, God has reversed His own order of creation. This is the effect of sin, not natural disasters per se, but rather that every sin puts a deep mar on God's perfect world and grieves God's heart. But thanks be to God for his mercy in choosing a remnant in Noah. That should give joy to us all, that God does not just wipe us all away, but always leaves hope. SATURDAY DECEMBER 8: This story is a little strange at first, but there's some ancient background at work here. The old civilizations thought of the heavens as literally above the earth, so the people of Babel were trying to use their new technology (the brick) to become like gods. Sound familiar? It reminds us of Chapter 3, where Adam and Eve were told they would "be like God, knowing good and evil." Now here in Chapter 11, we're seeing that at work with a whole civilization. And notice what God does. He doesn't smite them down. He merely disrupts the order He created in the first place, allowing a touch of the world's original chaos to creep into their lives. This is what sin does to us: it damages us, confuses us, separates us from one another and from God. That's why we desperately need Jesus: to save us by showing us God's right definitions of good and evil through the way He lived and acted. Challenge: This week try to reach 2/3 of your inviting goal. Text your accountability person how many people you have invited so far. Think of drive-thru workers, neighbors, and people you see at the gym. SUNDAY DECEMBER 9: If you're not familiar with this book of the Bible, here's an introduction: God's people, the Israelites, has chosen to define good and evil for themselves so much that they, too, succumb to evil, corruption, and injustice. It has gone on for a long time, and finally God has had enough of it. But He doesn't want to destroy them; He wants to save them. 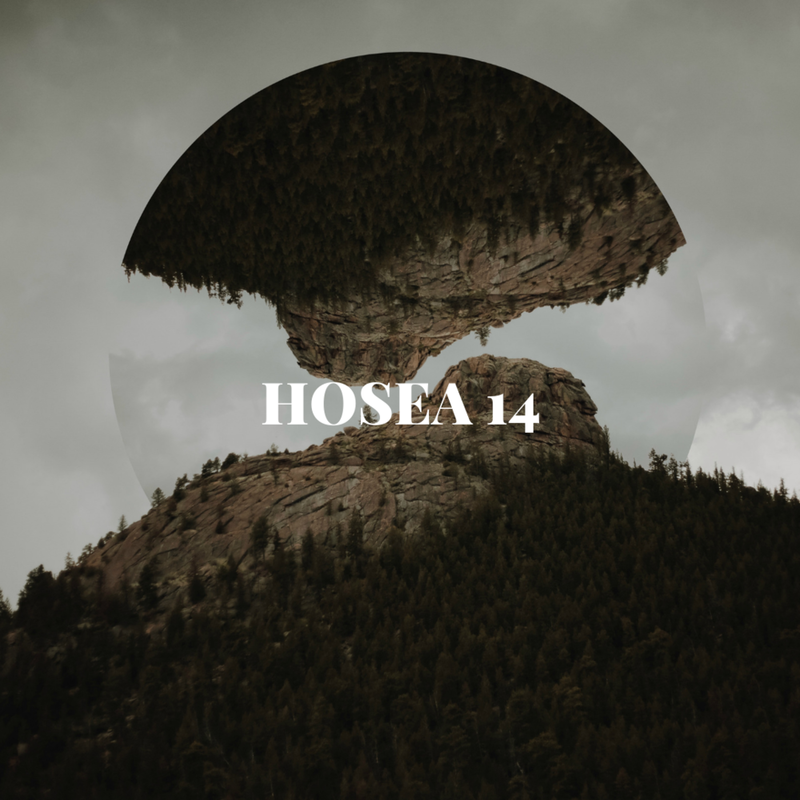 So God appoints a prophet named Hosea to tell Israel just how heartbroken He is over their sin. Read God's words and think of the sin in your life and how it makes God feel. As we enter further into the Christmas season, we should remember that God wants a good relationship with us and that He wants to bless us with the best life possible. MONDAY DECEMBER 10: In today's passage, God describes His relationship with His people like a marriage, one that has been violated many times with what God calls adultery, in this case in the form of idolatry, injustice, and corruption. God has been a faithful "husband," rescuing Israel from slavery and entering a covenant with them, but Israel has been an adulterous "wife" by following other Gods and committing horrible sins, descending into chaos. Notice some of the language God uses in Chapter 2. God says He will "make Israel like a wilderness." That's just like the world in Genesis 1 before God set it to order in His acts of creation, a wilderness of wild and waste. This is what sin does: it lets chaos and disorder seep into our lives, just like it did to Israel on a massive scale. TUESDAY DECEMBER 11: Here we have the big turn. God has already said He will punish Israel, but He doesn't smack them down or burn them for eternity. Instead, God says He "will allure" Israel and bring it back into the days of its original relationship with him. As you can tell from verses 18-20, God wants a peaceful, harmonious relationship with Israel where there is no war, no pain, and no evil. This is what God longs for with humans: a covenant relationship of mutual love and honor, one of calm and peace, not the chaos that sin brings. God desperately wants this relationship with you, too. What's standing in the way? What chaos are you bringing into that relationship? WEDNESDAY DECEMBER 12: That's right. This chapter begins with a command not to rejoice, for Israel has sinned so much that its relationship with God lies in total ruins. Have you ever felt this way, like you've so damaged a relationship that it's beyond repair? Well that's exactly what has happened here. Notice verse 10. God says he found Israel in a wonderful state, like "grapes in the wilderness," totally willing to follow God and love Him. "But then" they started worshipping other gods and choosing to define good and evil for themselves, creating injustice and chaos wherever they went. And they "became detestable like the thing they loved." What in your life is rotten but that you've continued to let rule over you? In what way are you becoming like something that corrupts you? 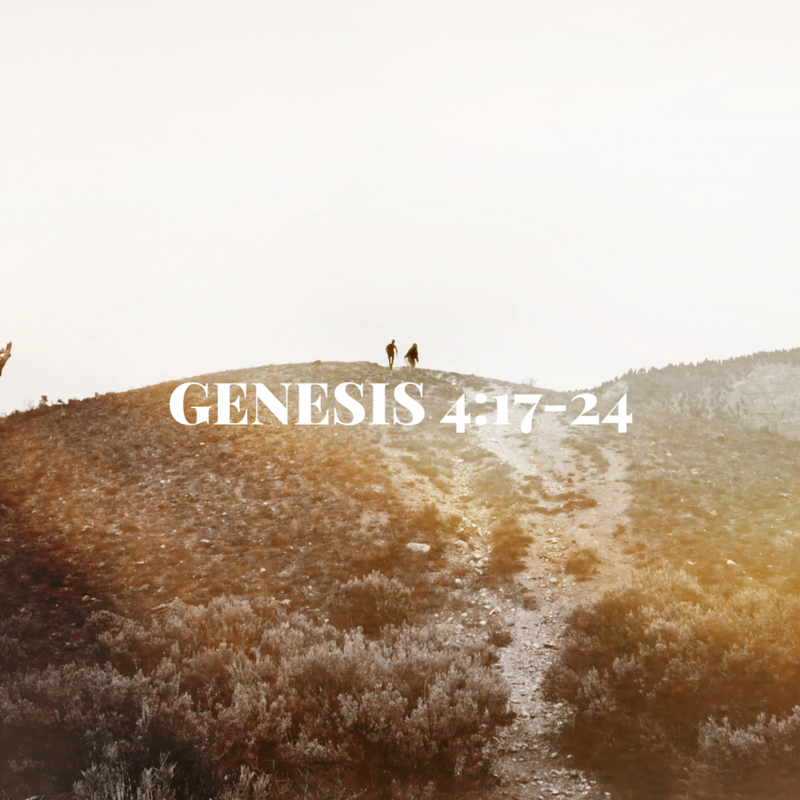 THURSDAY DECEMBER 13: This chapter shows God as a father to Israel, teaching them to walk and leading them with love. But Israel has kept walking away from God time and time again, never returning to the God who loves them so much. This tears God's heart apart. On the one hand, He's rightfully angry this His children keep disobeying, but on the other, God wants to redeem them and bring them back to Himself. "How can I give you up?" God cries. "My compassion grows warm and tender." Therefore, while God allows Israel to be conquered, He says this will not be the final word, but rather that He will still seek to redeem them to Himself and bring them back into a loving relationship with Him. And this is what God wants for you, too, to be brought back to His fatherly love. FRIDAY DECEMBER 14: This chapter keeps trying to bring Israel back to its original relationship with God. God reminds Israel that it was He who delivered them from slavery in Egypt and that He was the one with whom Israel made a loving covenant in the desert. But since then, Israel has trusted in other things like foreign countries and their own kings to save them instead of God. So God strips all that away, leaving Israel exposed. This leaves open the question: without God to protect them, what happens? And that's the same question left for you to ponder today: Where would your life be without God in it? Or perhaps where is your life now if God has never been in it? What is that like and why does it matter? SATURDAY DECEMBER 15: This chapter shows us the kind of relationship God wants with His people, one where they trust Him for everything--not just for provisions and protection, but for the very definitions of good and evil. God doesn't want Israel to trust in Assyria or horses or idols, but only in Him. And then, God says, He "will heal their apostasy" and "love them freely, for my anger has turned from them." And that's where this beautiful book lands. God has punished sin, but He has left both His love and His hope on the table, completely accessible to Israel and to you. And that's the big deal, that sin has enormous impacts on you, the world, and on God's own heart, but also that God deals with sin in such a way that is both punished and healed from. What does that look like in the grand scheme of things? Well that's what next week is all about. Challenge: Text your accountability person at some point this week, and try to reach your entire inviting goal. Consider inviting people you are around but don’t talk to much—the security guard, the garbage man. 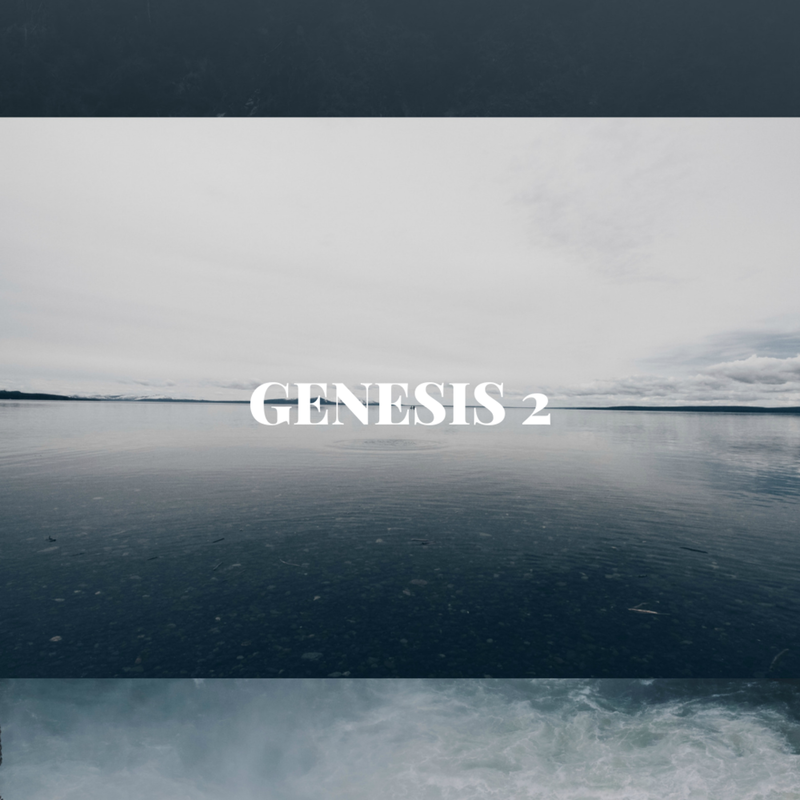 SUNDAY DECEMBER 16: This passage should immediately bring your mind back to Genesis 1, which we read two weeks ago because of the mirror phrase "In the beginning" that starts off both books. Remember in Genesis 1 when God was creating order out of chaos? Here in John 1, we see that God does that through a "Word." Just like God spoke creation into existence with mere words, that word, that testimony about who God is, takes the form of a person, and that person is Jesus, the Son of God. The breath of life that animated Adam and keeps all of us alive is ultimately found in Jesus (v. 4a). 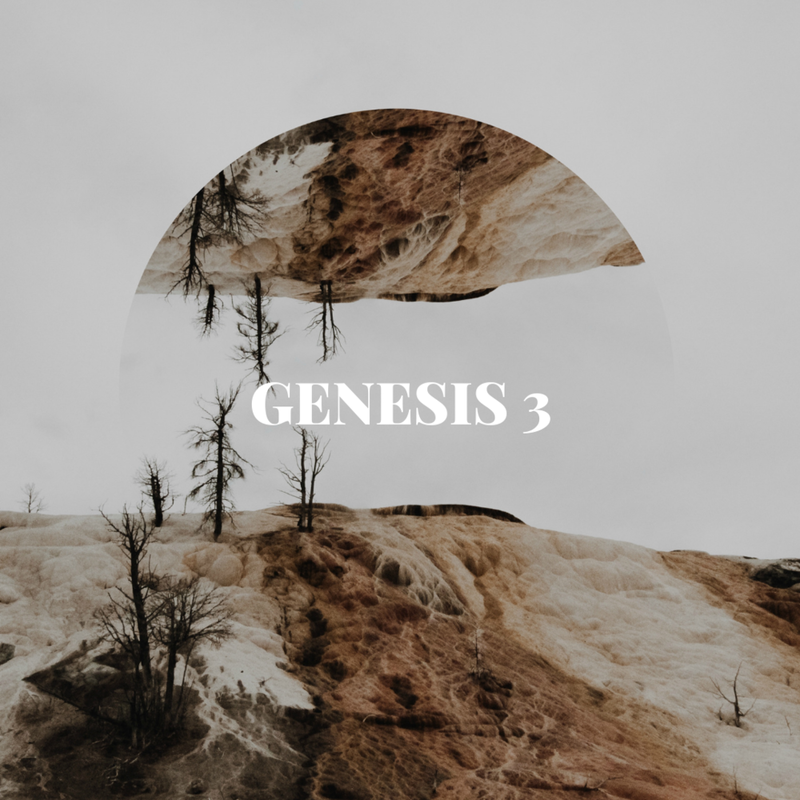 Even though John's world is full of darkness and chaos, just like the universe in Genesis 1:2, Christ's "light shines in the darkness, and the darkness has not overcome it" (v.4b). This is the beginning to the answer to sin, that Jesus is ultimately God. All of our hopes for everything else we'll read about come out of this truth. And so as we continue into the Christmas season, pay close attention to verses 14-17 and what it means for God to have "dwelt among us." MONDAY DECEMBER 17: "The Lamb of God" is a reference to the part of the Bible known as the Torah, or Law. This is where God set up a way that the Israelites could absolve themselves of sin by sacrificing animals, particularly lambs, to cover up their wrongdoing. When John calls Jesus "The Lamb of God, who takes away the sin of the world," he's telling us that Jesus has come to do exactly that: remove sin from our lives. This not only hints at Christ's ultimate sacrifice on the cross, but also on the absolution that Jesus brings. We are no longer under the power of sin, but we can choose to trust God's definitions of good and evil because we are empowered to follow Jesus, just like he invites us to do. TUESDAY DECEMBER 18: This famous scene shows us the passion Jesus has when it comes to sin. Jesus is not just a jolly figure who heals and brings peace. He has every bit of God's anger toward sin within him because he's God, too. And that's what's going on here. Jesus is furious at how people are taking advantage of the poor and the immigrant, so he starts tearing the place apart, even though it's God's temple. Then he says he will raise up a temple himself in just three days, referring to his ultimate work on the cross, which overcomes sin in an even more powerful way than the temple ever did. In this way, Jesus shows that he's all about justice, but he's also all about grace. Those sound like opposites, but to Jesus, suffering to bring grace is the ultimate justice. WEDNESDAY DECEMBER 19: This passage contains the most famous verse in the entire Bible (3:16), but it's jam packed with so much more. Jesus goes straight for the jugular here. He says that in order to be a part of God's restoration (the "kingdom"), you have to go all the way back to the beginning and start over (be "born again") with a whole new perspective on life and a whole new course of actions. It's not some wayward sinner Jesus tells this to; he scandalously says this to one of Israel's most religious and holy people. This guy expects to be praised for his righteousness, but instead Jesus tells him that he needs to be saved, and that God's kingdom isn't just for this guy, or even just for the Jews, but for the whole world. THURSDAY DECEMBER 20: Yet again, Jesus is involved in what the people of his day would consider a scandal: he talks privately with a foreign woman. She notices this immediately and tries to back out, but Jesus keeps showing her amazing love and compassion, and he doesn't just do this by immediately absolving her. Instead, Jesus brings her guilt out into the open and then claims to be the Savior from that guilt. And notice what she does next. She runs around the town, but she doesn't just proclaim his salvation. Instead, she yells out evidence of her guilt, now feeling free because of Jesus to face her sins head on. This is what Jesus does for us. He doesn't hide our sins. Rather, he brings them out into the open so that they can be forgiven and we can be free of them. FRIDAY DECEMBER 21: This is another scandal Jesus puts himself in. He does something that the religious leaders of his day considered a big no-no: he works (heals) on the Sabbath. This sets Jesus up to face off with those religious leaders. Pay close attention to verse 21. Here, Jesus proclaims the vision statement for his entire ministry: "the Son gives life." That's the whole point of Jesus: to bring the power of his resurrection from the dead into our own dead lives so that we can live freely in the grace of God. All Jesus says we have to do is hear his word and believe in him, and we will cross over from death (v. 24). SATURDAY DECEMBER 22: The past few days, we've looked at several scandals that Jesus perpetrated in order to bring out God's justice and compassion. This portion of John 5 tells us why: "the very works that I am doing testify that the Father has sent me" (v. 36). This isn't just Jesus being a nice guy; he has a mission: to bring justice and mercy on the earth. This is the ultimate scandal, that God would become a human in order to die on humans' behalf so that humans could take on God's own goodness and be free to live according to God's definitions of good and evil. Grace is offensive, scandalous, and glorious, and it's what we desperately need from Jesus. As we close in on Christmas, focus on that grace, that need for Jesus to scandalously save. Challenge: Text your accountability partner the number of people who’ve agreed to Come and See. There are only a couple days until Christmas, so follow up with people you’ve invited. Call them, DM them, stalk them—do whatever it takes to get an answer if they will Come and See, so they can receive the greatest gift this Christmas, the gift of hope. SUNDAY DECEMBER 23: Of all the places to start, Matthew begins his account of the life of Jesus with a genealogy. Why do you think that might be? To most of us, this might seem pretty boring, but pay close attention to what is going on here. Matthew starts here because he thinks it's important where people come from. The author wants us to know that Jesus has a special religious history (tracing back to Abraham), a special royal lineage (tracing back to King David), and a special place in history (the return from the Jewish exile from Judea). All of this points to Jesus as the Savior because he fulfills all religious requirements for all of us, re-forges the line of Israel's kings forever, and arrives to free all people from their spiritual exile from the presence of God. This all comes together to show that Jesus is everyone's Messiah, and all this is in just the first 17 verses! What does it mean to you for Jesus to overcome religion, establish God's kingdom, and put an end to spiritual exile? MONDAY DECEMBER 24: You may have heard that the name Immanuel means "God is with us," but what does that mean? And why isn't that Jesus' actual name? Well, it's a quotation from Isaiah 7, where God is talking to a king of Israel, telling him how hard things are going to be but that His Spirit will be with him throughout the coming calamity. This is exactly what Matthew is conveying about Jesus: that a calamity is coming, and is indeed already here: the tragedy and travesty that is the sin in the world. But by coming into the world, Jesus has arrived to remain with us throughout sin's ruin in order to rescue us from it now and forever. As you prepare for Christmas Day this year, remember what we are celebrating: that God Himself entered our world in his humble perfection, lived a life of no sin, and sacrificed Himself on our account in order to save us from our sins. He did this to show us that God is always with us, just like this passage declares.